Description: Dark ruby red, a good pink head with plenty of lacing. 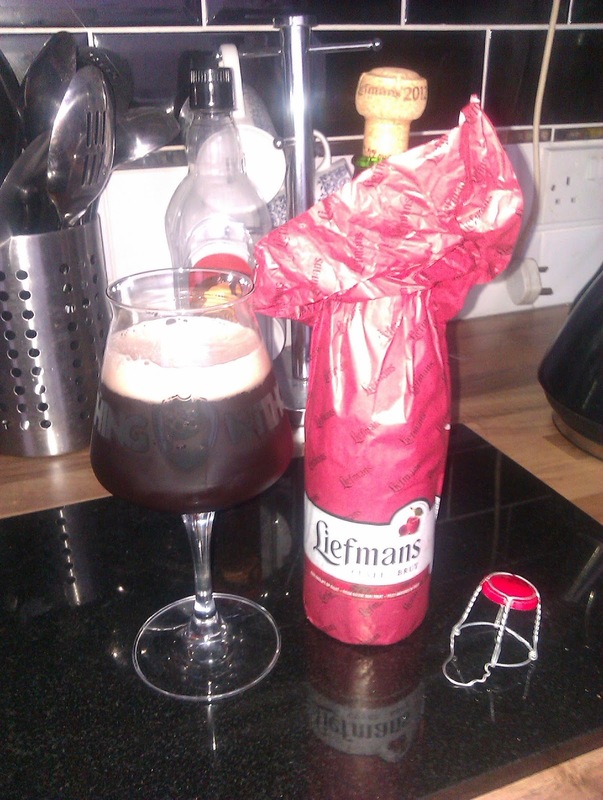 Aroma of tart stone fruit, cherries, slightly sour notes, with hints of marzipan sweetness. Deep dark cherry flavours, a little malt, and a lot of tart sourness. Light but sticky mouth feel, nice carbonisation; dry finish. Thoughts: Fruit beers can be a bit “love 'em or hate 'em”. This though is seriously good, a blend of aged beers mixed to perfection. Sweet but the perfect sourness to balance it. Two points: (1) it's 6%, so stronger than some fruit beers and it might creep up on you; and (2) if you don't like marzipan dark cherries, this ain't for you (how cherry could it be you ask, well for a hint its described on the bottle as “brewed with cherries, aged with cherries, with cherry juice added”! I loved it though, great beer. Description: Light amber and hazy. Very slight white head. Lots of tropical fruit on the nose – this sounds weird but it reminded me a bit of Umbongo. Fruit sweetness, with a little citrus/grapefruit bitterness. Mandarin? Long bitter finish. Unfiltered, very light bodied, no carbonisation, slightly oily mouth coating. Thoughts: First up, I love the Ska inspired artwork – took me back to the '80s! After that, I'm really not sure what to think of this beer. I veered from liking it to not liking it – all in the same mouthful. In the end, I think I enjoyed it more as it warmed up. I maybe need to try another bottle of this, but I've never been so indecisive about a beer before! Description: Dark Brown and translucent. Small white head. Lots of toasted malt aromas, real smell of porter from this. Tastes of toasted (almost burnt) malts, brown sugar, with a bitter finish. Mid mouth feel. 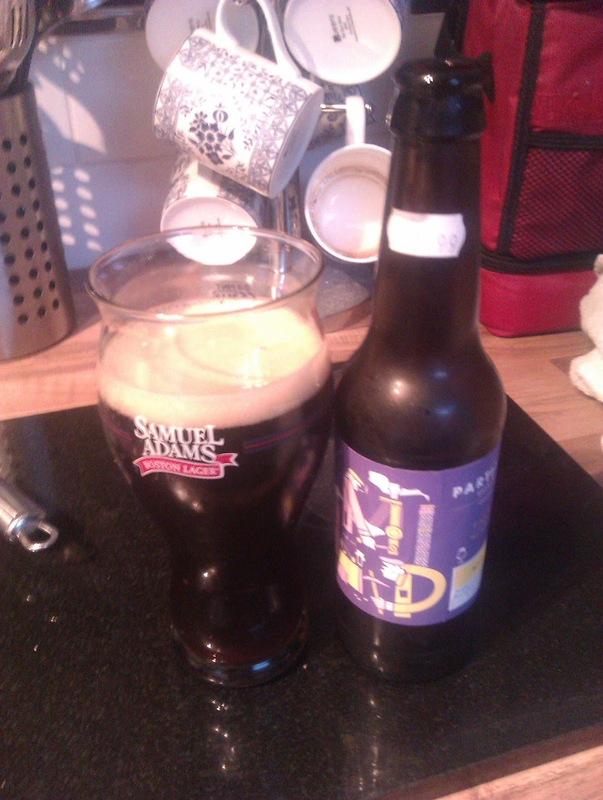 Thoughts: This is described as a Mild, but to my uneducated mind it was more like a porter. This is by no means a bad thing. Really enjoyed this: complex, dark, bitter, and perfect for an autumnal night. Based on this I reckon their dark beers are much better than their light beers. But they are definitely trying interesting things and I'm looking to try more of their brews. Try some folks, see what you think, and let me know!